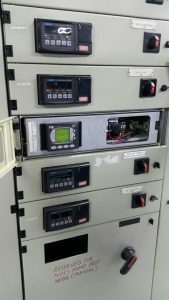 Recognising the need for End Users to manage obsolescence and breakdown of aging equipment P&B have developed and continue to develop new Retrofit solutions, most are pin for pin compatible to the original thereby offering a very effective means to update and replace old protection relays. Not only older P&B relays but a host of other OEM protection relays too. If you have a problem we can help you. The P&B Golds relay was regarded by many as the finest motor protection relay ever made. Almost 500,000 were manufactured and supplied around the world from the late 1940s through to 1980’s. Several enclosure types were available; draw out cases using the GEC format, the popular square format, horizontal and vertical flush mount non-withdrawable types. Typically the larger the case the more additional flags indicator and element the relay was equipped with. 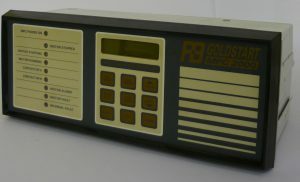 Although a vast number of Golds relays still operating and in service today many end users are looking to upgrade their protection to enhance their systems with communicating features, event recording as well as integrating other protective functions. For most of the P&B Golds relays we can provide a direct replacement which provides motor overload and earth or overcurrent and earth fault protection using a vertically mounted Motorvision or Feedervision relay. In addition all of the normal protective functions found within our modern relays are available to make use of. 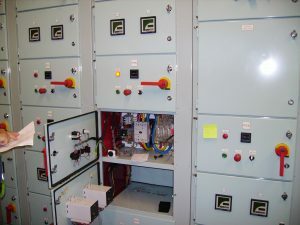 When using the drawout chassis, the existing relay electromechanical elements are removed and the vertical Motorvision relay is mounted to newly fitted stirrups, the terminals are then wired directly to the existing contacts of the Golds chassis. The flag reset plunger now even makes contact with a convenient reset switch. The new relay wired complete to the chassis can be reinserted and put back to service with minimal effort. The 2000 range of relays were supplied from the early 1990’s through to about 2001 for protection and multifunction protection & control relays for 3phase motors. 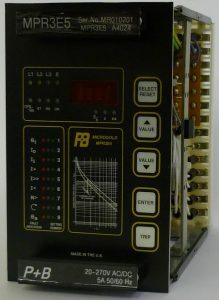 The 2000 was one of the first fully-integrated protection, control and communicating relays to meet, the then new, DEP37 Shell specification for motor protection. The 2000 relay was used extensively for the protection and or control of medium voltage motors, typically 415V, 3.3kV, 6.6kV and 11kV. 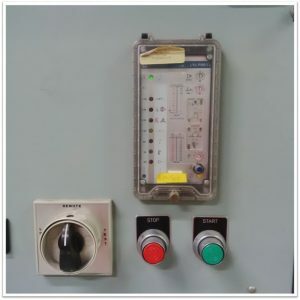 Quite often this protection relay was fitted to GEC (Alstom) HMC1072/1172 Switchgear, Baldwin and Francis Equipment, Elequip and Igranic auto transformer circuits both for onshore and offshore applications. Designed as a replacement for the original MPC2000 relay in either vertical or horizontal mounting. This relay is based upon the Motorvision design and is mounted within a 192x96mm case and comes complete with an adaptor plate to mount neatly within the original relay cut-out. The new terminals replicate that of the existing relay, although as the terminals were a mix of both screw and plug in type, there are some reconnections to be made to the new relay. The new relay protrudes from the switchgear door by 44mm, improving overall aesthetics by mounting flush alongside the likes of other door mounted equipment, such as MMLG01 test blocks. 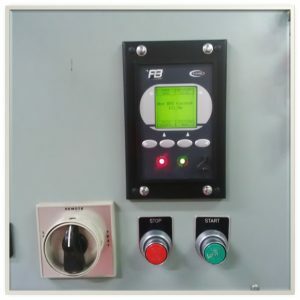 The installation is fast and aided by pre-configuration of the digital I/O. 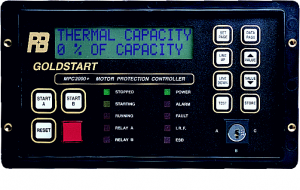 The 2000 hardware found its way into our drawout mechanism in the mid 1990’s and was supplied until 2008 for multifunction protection & control relays for medium voltage 3phase motors. 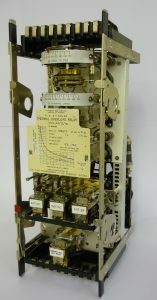 This relay design was adopted and used by many switchgear companies and end users in many industries around the world. 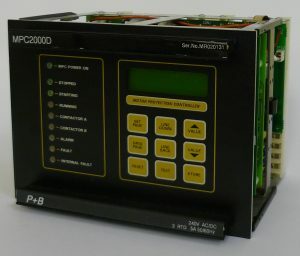 The 3000 is a replacement module, based upon the Motorvision design, this relay module is pin or pin compatible and fits directly into the existing 2000 case within the switchgear panel. This allows the 2000 to be swapped directly for a 3000 without the need for any wiring alterations. The existing bezel mounted push button will even align with the fault reset/display scroll prompt key of the new relay module. The 3000 can also be provided with its casing for use in new projects or extensions. The new MPR3E5 module is pin or pin compatible and fits directly into the existing MPR3E5 case within the switchgear panel. This allows the old 3E5 to be swapped directly for a new 3E5 without the need for any wiring alterations. These relays were the first of a range of early static and microprocessor based relays for overcurrent, earth fault and motor protection relays. The relay is vertically mounted and fitted within a chassis that match the mechanical format of the existing switchgear aperture. The relay terminals are pre-wired to similar terminals to the original relay. The retrofit process is extremely fast and is simply to remove the existing wiring from the back of the relay and remove the unit completely. The new relay is fitted into the aperture and secured in place, the control cabling is then re-terminated in the same positions. These relays were the first of a range of early static and microprocessor based relays for overcurrent, earth fault and voltage protection. These relays from Asea, latterly ABB had a shared heritage with P&B. As a result the retrofit solution available for P&Bs PBSJ and PBSM relays are conveniently directly compatible to the widely popular SPAJ and SPAM relays from ABB. The retrofit method exactly follows that of the P&B PBSJ and PBSM unit. The MTE IPC relay is housed in a 96x96mm enclosure typically with a remote VT module. 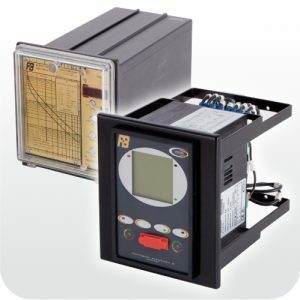 In many instances the IPC unit has been replaced using a MicroMotor relay which is also conveniently housed within a 96x96mm flush panel-mounting DIN case and a separate din rail mounting CT module connected via a 300mm cable. This allows users to change over from an MTE relay to a MicroMotor easily and without making substantial changes to the control wiring as the MicroMotor can be quickly programmed to suit the existing functionality. The LT8 relay is a potentiometer set static logic relay either flush panel mounted or rear frame mounted. The relay is intended for 3 phase thermal overload and earth fault protection of motors. Conveniently a vertical Motorvision can be mounted within an adaptor plate and fitted within the exiting relay aperture. The few terminal cables are repositioned to the Motorvision relay. The 239 was a popular relay and one of the first microprocessor multifunction motor protection devices available. 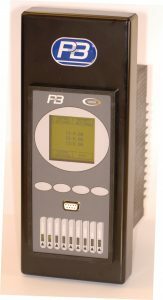 P&B have developed a direct replacement using a Motorvision relay as the replacement device, fitted within an adaptor plate and the terminals remapped to provide a true pin for pin fit. Keeping replacement time down to a minimum and making the process a straight forward swap from one to the other. 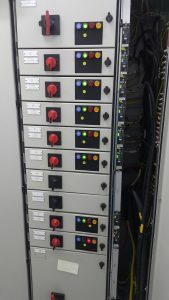 The MM5 from S&I has been supplied to many users of S&I Eurocentre style LV MCC Switchgear. With equipment support from S&I now limited to exchanging the entire starter drawer P&B have created a direct replacement based on the Motorvision design. 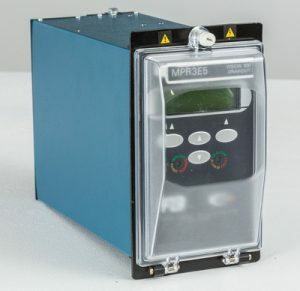 The MM5 retrofit occupies the same position as the mm5 relay making use of the existing fixing location and allows connection to the existing cabling loom without any changes required. Furthermore the CT inputs used with Motorvision have been altered in the retrofit design to provide a direct method of connection of the installed S&I CT module to the MM5 retrofit. The remote display is removed and depending upon the specific Eurocentre drawer style the MM5 retrofit display is supplied complete with either a steel adaptor plate (for the LHS mounted version) or ABS adaptor plate (for the RHS mounted version) which is needed to carry the new P&B retrofit display. 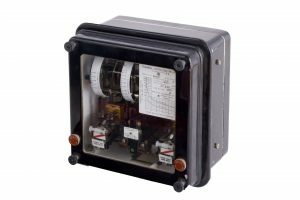 The MM5 retrofit allows end users to continue the usable life of their S&I switchgear by providing forward support and serviceability. 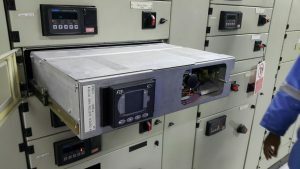 In instances were MM5 is connected to a RS485 network via a CMAC unit P&B can configure the retrofit to mimic the data points of the MM5, or the CMAC itself can be exchanged for a P&B Xcell Data Concentrator. 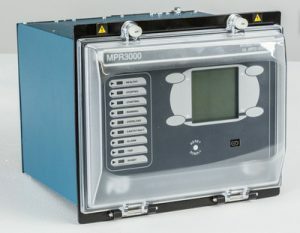 The MRM1 device was supplied by SEG but used P&B technology from the MPC2000 relay, hence by using the Vision 3000, an adaptor plate and fixing guides, P&B can offer a direct and easy replacement to the MRM1 relay. Using the primacon platform P&B produce a direct replacement for the externally mounted Holec unit. The original equipment provided no real indication of function so the retrofit was designed to include LEDs for status as well as for simple motor load indication.